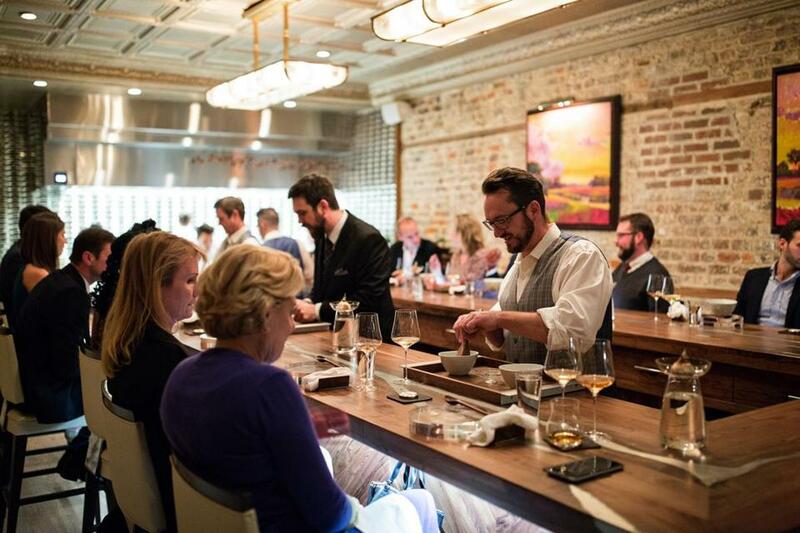 McCrady’s, a 22-seat restaurant in Charleston, South Carolina, was among the spots to close ahead of Hurricane Florence. On Monday night, the weather in Charleston was moderate — cloudy with a little wind, writer Daniel McGinn learned while following up on his travel piece about the South Carolina foodie haven. The city had worked hard to prepare for Florence, but the storm turned north and left the city relatively unscathed. “There are very few people in Charleston right now — it’s like a ghost town,” says Jim Stein, executive chef of McCrady’s, the 22-seat, tasting-menu-only restaurant McGinn wrote about in the Fall Travel issue. In the run-up to the storm, with diners canceling reservations, suppliers concerned about delivering perishable food, and staff making plans to evacuate, McCrady’s decided to close September 12 through September 16 — meaning five nights of lost revenue for the owners and wages for the employees. “That’s a big hit,” says Stein. Restaurants that stayed open saw limited traffic. “This is our third year in a row we’ve had a storm come through where we’ve been closed at least three days,” Stein says, recalling hurricanes Irma, in 2017, and Matthew, in 2016. Daniel McGinn Send comments to magazine@globe.com.